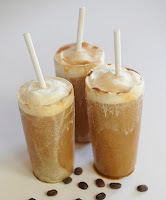 When we saw these adorable DIY cappuccino popsicles, we wished we could just try one immediately! What better way to fight the afternoon blahs than with a jolt of creamy coffee frozen goodness? Simply mix freshly brewed espresso with cream and condensed milk, and freeze. Add a layer of cream and milk, and some cocoa powder for a mocha twist. We can't wait to try it! This headline-grabbing garden has been designed by Diarmuid Gavin. The 24-metre tall pyramid is built from scaffolding and each level comprises a different garden design inspired by urban living. Bellboys take visitors up in lifts and there's the option of descending via a giant stainless steel slide. Good show old chaps. In honour of all things big and British,Selfridges has put together a jolly good collection of your favourite home-grown brands. From Stella McCartney to Mulberry, discover unique designs exclusively here. The MyCityWay London24 app will help you discover London like never before. It is a real-time, location-based guide to London - a powerful and comprehensive discovery tool for all kinds of London-related information based on users’ real time location and purpose. It's the complete go-to tool for residents and international visitors alike. The application is easy to use, well-structured and contains all the important tips in order to make your London visit a pleasant experience. 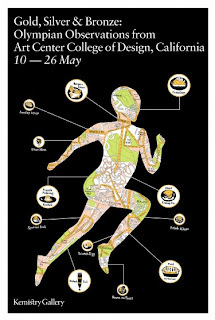 All kind of useful information could be found: from where to go eat a sandwich to the nearest post office. Bus O'Clock (BOC) is a simple live bus departures app for London. It's fast, easy to use and covers the whole of London so you will never be left wondering how long you've got to wait for the next bus. 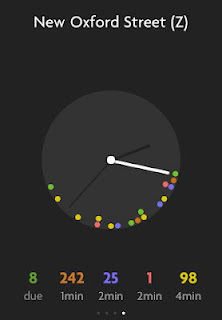 The 'Find me' function locates your nearest stop and serves up a simple departure countdown on a super-friendly clock. 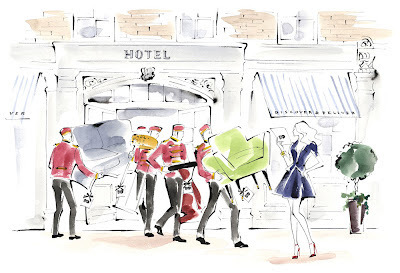 In an age in which a few virtual clicks can bring almost anything to our finger tips, it’s a wonder why the idea for a lifestyle website enabling us to purchase furniture we've seen in design hotels around the world hasn’t appeared sooner. The brainchild of Isabel Rutland, Discover & Deliver sells a tightly curated selection of designs by the likes of Sergio Rodrigues, Hans Wegner, Arne Jacobson and Jean Prouve, as seen in hotels and restaurants from Hotel Americano in New York to the Waterhouse in Shanghai and Belgraves in London. Spring is finally here again, which means that people are getting back outside to hang out in the sun. But finding the right sunspot isn't always easy, especially if you live in a big city where buildings are covering the sun. To show that Ray Ban is a brand that cares about their customers we introduced "Bright Light", it's an application that helps people to get the most out of the sun and their sunglasses. Here’s the first trailer of the next adventures of James Bond 007 with the highly anticipated film “Skyfall” directed by Sam Mendes. Produced by Sony Pictures, the cast consists of Daniel Craig, Judy Dench, Naomie Harris and Javier Bardem. Expected in theaters on October 26, 2012. Paul Smith will be signing copies of his new book ‘Paul Smith A-Z’ on Friday 18th May at his Covent Garden Shop from 12:30-1:30pm. Paul Smith A-Z is an insight into Paul’s world, from A for Architecture to Z for Zebra, the book is an inspiring insight into his influences, observations and love of all things quirky. The Design Museumpresents iconic French shoe designer Christian Louboutin, celebrating a career which has pushed the boundaries of high fashion shoe design. This exhibition celebrates Louboutin’s career showcasing twenty years of designs and inspiration, revealing the artistry and theatricality of his shoe design from stilettos to lace-up boots, studded sneakers and bejewelled pumps. Be taken on a magical journey of style, glamour, power, femininity and elegance. Tickets for the exhibition can be purchased in advance from Ticketweb (booking fee applies). Last admission 30 minutes before the end of the session. Liberty is regarded as the quintessential English emporium. 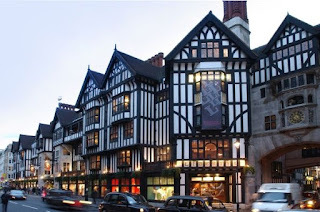 It is one of the world’s most beautiful, exclusive stores with a heritage started by Sir Arthur Liberty in 1875, who traveled the world to find eclectic, unique objects for his discerning clientele. The store today showcases some of the most inspirational and avant-garde fashion, design, home, gift and beauty brands in the world. Mon - Sat: 10 a.m. – 9 p.m. 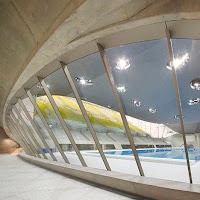 Here are some more photographs of Zaha Hadid‘s recently completed aquatics centre for the London 2012 Olympic Games, taken by UK photographers Hufton + Crow. Six curved concrete diving boards stick out like tongues across one pool at the end of the main hall, beneath an undulating wave-like roof. BELLOCQ, the award-winning tea company and purveyor of evocative artisan blends, has relocated their 'tea atelier' to Greenpoint, New York following the success of their Kings Road, London shop, Bellocq Tea Atelier. The business, which offers a unique and evocative line of handcrafted blends, with seductive names such as ‘Kikuya’, ‘Le Hammeau’ and ‘Noble Savage’, also curates an inspiring selection of the organic full leaf teas. 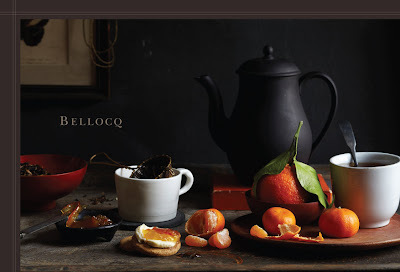 Bellocq is refining the luxury tea business to suit the evolving and sophisticated taste of the modern client. 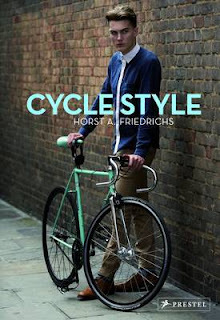 An acclaimed photographer introduces the incredible variety of stylish cyclists pedaling through city streets in this stunningly illustrated book. No city boasts of a more fashion-forward population of bicyclists than London. Photographer Horst Friedrichs meets his subjects in their own milieu: zooming around the city's streets on two wheels. Whether they're leisurely filling their baskets from market to home or pedaling purposefully to an important meeting, experiencing the city as cycling tourists, or getting from place to place in the most economical way possible, Friedrichs' subjects share a love of the bicycle culture that is sweeping the streets of London and the rest of the world.